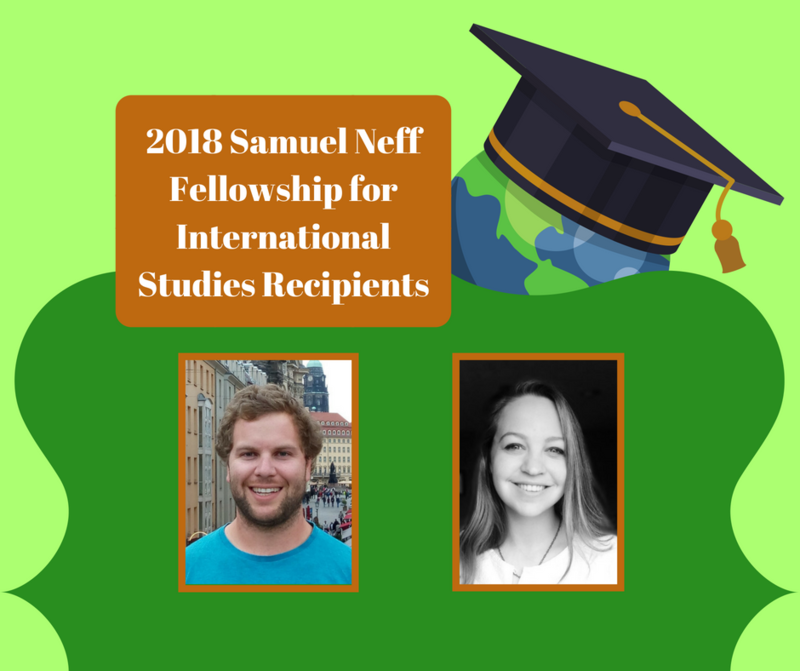 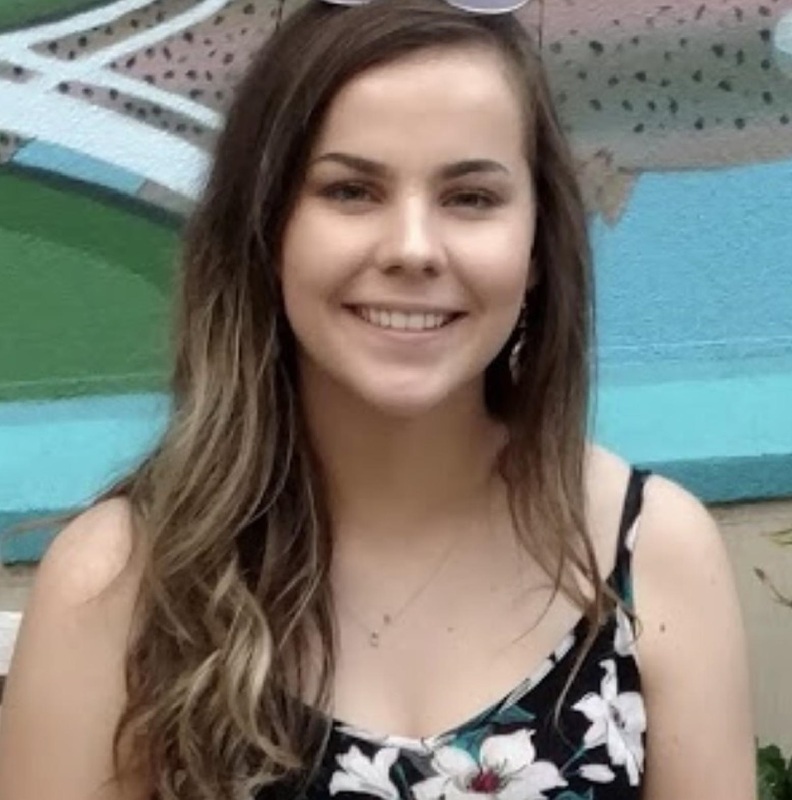 The Community Foundation for Crawford County announces Michael Moser and Emily Dotson as the 2018 scholarship winners for The Samuel Neff Fellowship for International Studies. 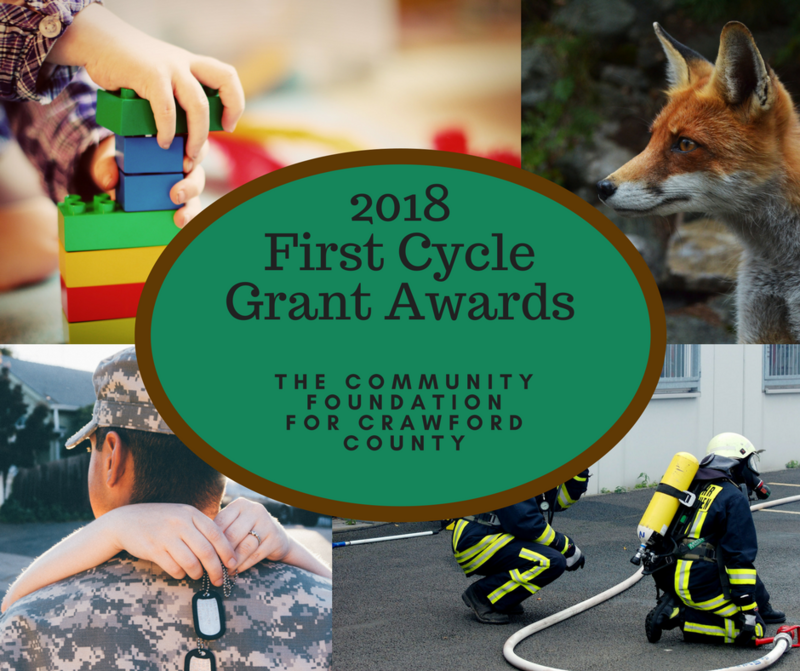 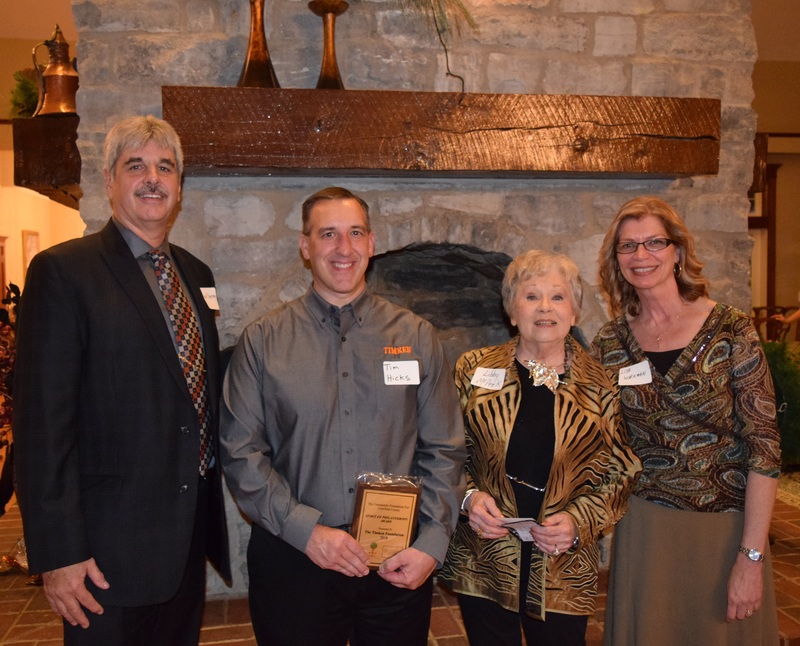 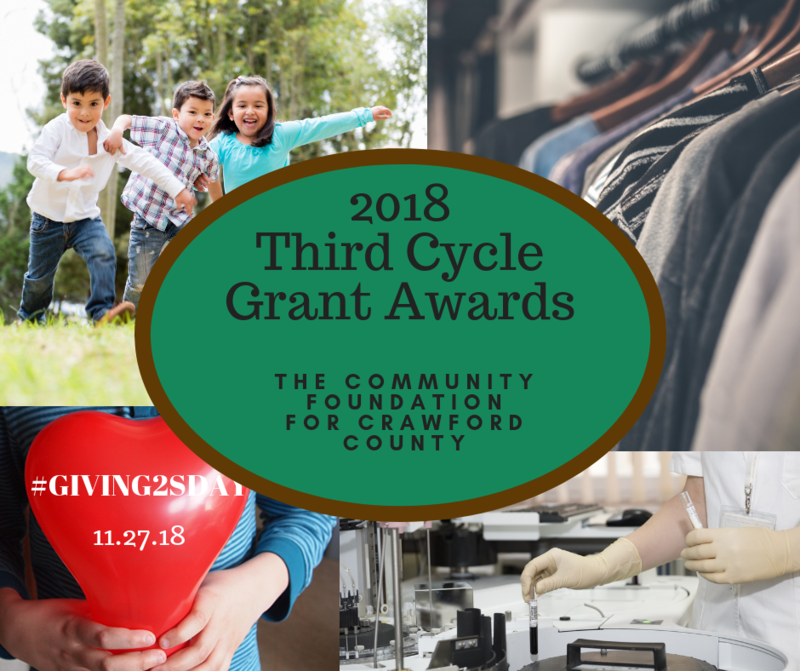 The Community Foundation for Crawford County recently awarded over $20,000 in competitive grants to local charitable organizations and schools during their second granting cycle of 2018. 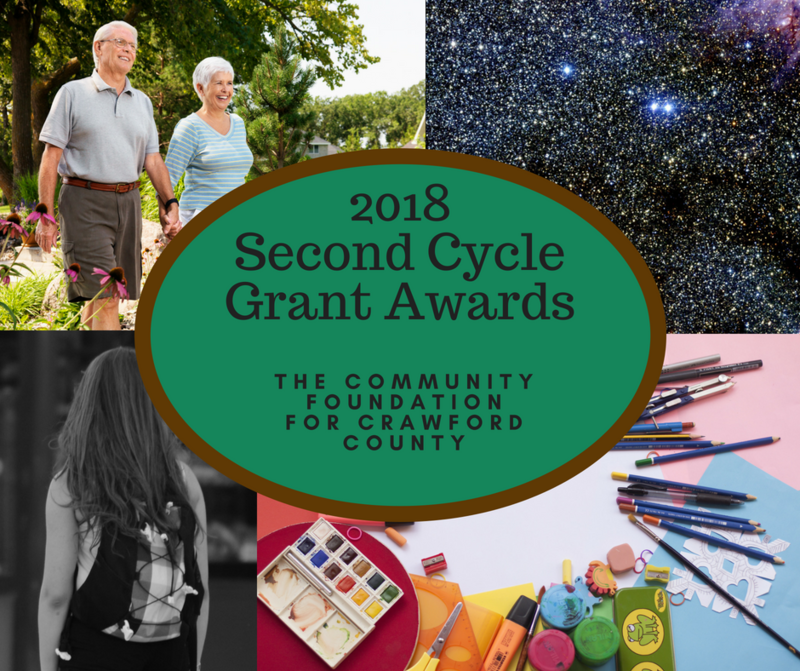 The Community Foundation for Crawford County recently awarded over $227,500 in competitive grants to local charitable organizations and schools. 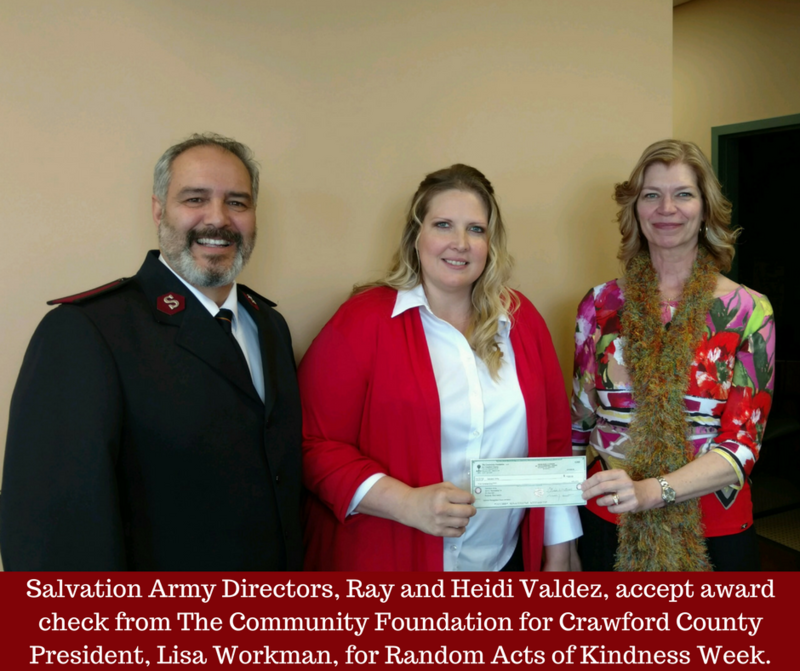 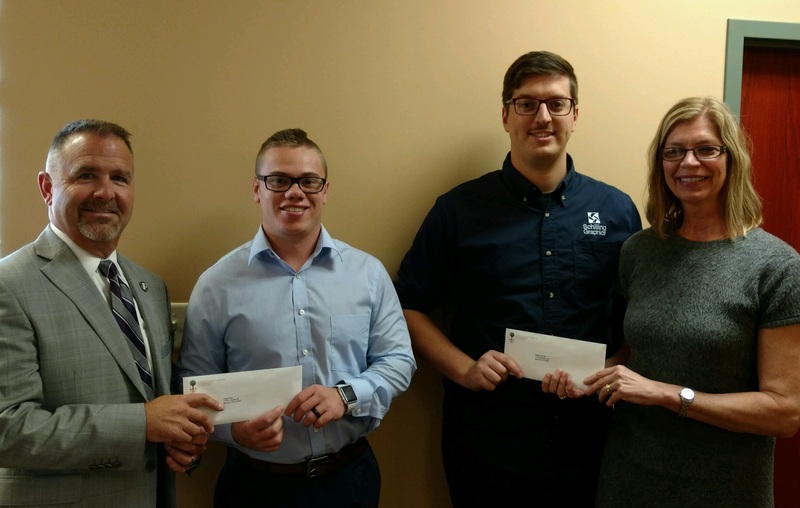 The Community Foundation for Crawford County surprised the local chapter of The Salvation Army with a $500 check during Random Acts of Kindness (RAK) Week last week. 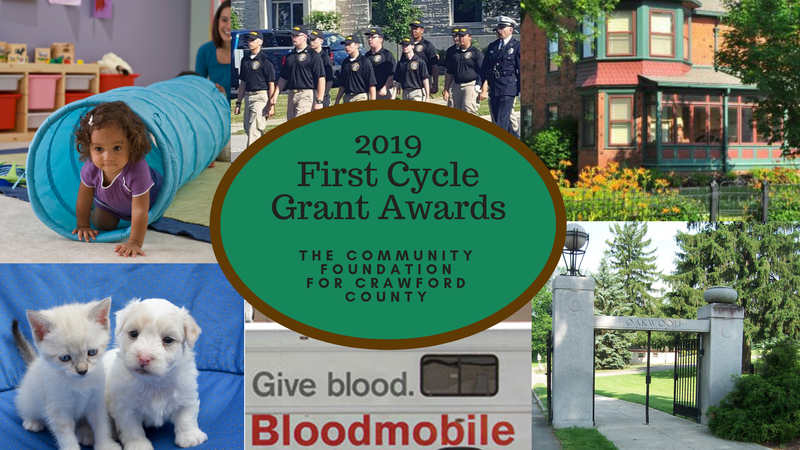 The Community Foundation for Crawford County recently awarded over $81,300 in competitive grants to local charitable organizations and municipalities.